Mutsuko Soma in her home kitchen making soba noodles. Pike Place Market's newest addition–and only addition in 40 years–finally opens today. Vendors like Honest Biscuits and Old Stove Brewing Company are open now, while Indi Chocolate and Little Fish are coming soon. The renowned Capitol Hill bakery is changing hands on July 2 from creator Neil Robertson to Toby Matasar, the mastermind behind the completely glutenless Niche Cafe and Bakery. Wallingford got a new burger joint this week, Wallyburger. The restaurant had to close three times since its Saturday opening due to popular demand, and its decor makes it only the third place in Seattle that can be labeled “county.” Eater Seattle's got some photographic evidence of said country-style motif. Traditional Viennese pastries have arrived in Phinney Ridge through Celine Patisserie, owned by Alexei and Daniela Bucos. Pastries like ham and cheese croissants, smoked salmon sandwiches, and macarons will be sold alongside Italian coffee, says PhinneyWood.com. John Howie's restaurant will temporarily close for a complete renovation of its interior starting July 1. Upon reopening in late July, there will be a wider selection on the raw menu and the addition of small plate offerings. 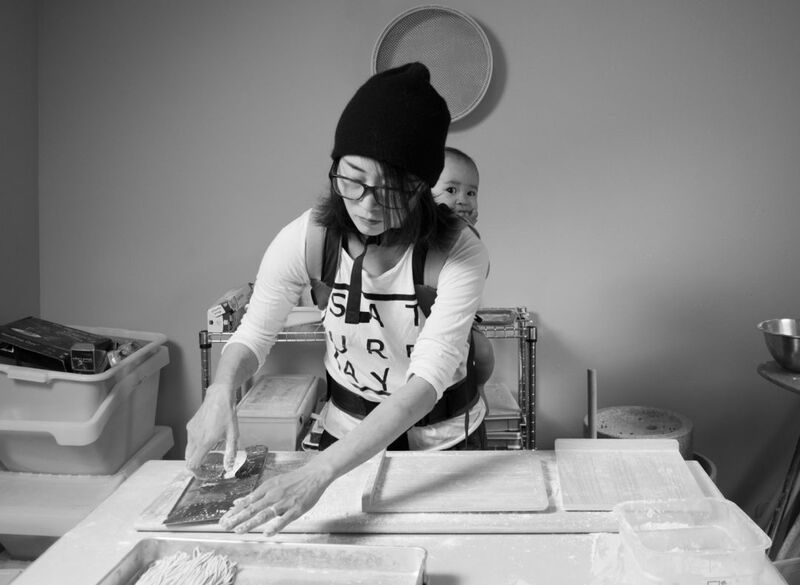 Soba-queen Mutsuko Soma is taking over Art of the Table’s old space for her new digs Kamonegi. Slated to open in September, but in the meantime Soma has an Indiegogo page to help with the startup costs. Uwajimaya’s food court is getting a new resident. Cheese Meats Breads is Kevin Chung’s joint serving notyourchildhood’s grilled cheese, i.e., combos like sriracha tuna salad with pickled daikon and braised pork belly with fried egg. Kimchi fries and Full Tilt milkshakes, too. Seattle, the culinary hub its become, is included in Costco's test launch for their new–drumroll please–$4.99 cheeseburger. The followup to the classic Costco dog is being tested in a few remote places and Seattle is lucky enough to be a guinea pig for this 1,140-calorie burger. Twins Amanda and Jessica Lewis added "cooking show winners" to their resumes. The duo were on this past Sunday's Guy's Grocery Games (one of Guy Fieri's many attempts to keep his culinary career going) and won the whole thing, leaving with $16,000 which they say will go towards opening a brick-and-mortar bakery, reports My Ballard. The airport shuffle is still well and alive, and Ivar's online campaign seems to have gained way. The Port of Seattle stated that the Northwest staple's initial proposal was flawed and too long, but says they are offering Ivar's (along with Wendy's) a food cart alternative. Ivar's current spot will be overtaken by Lucky Louie Alaska Fish Shop. Chefs-in-training often participate in stages–essentially extremely intense and laborious, unpaid internships in respected kitchens across the world. However, Willows Inn has to shut down their program this week after the Department of Labor says the James Beard–awarded restaurant violated the Fair Labor Standards Act by failing to properly pay its employees. Last Monday, the Magnolia Metropolitan Market was robbed by a suspected current or former employee, reports Magnoliavoice.com. The perpetrator was chased but not caught, and made away with an unknown amount of cash.